Looking over the movies we’ve talked about, we have apparently not done a musical. Though Weltall attempted to argue that we could count Spinal Tap. 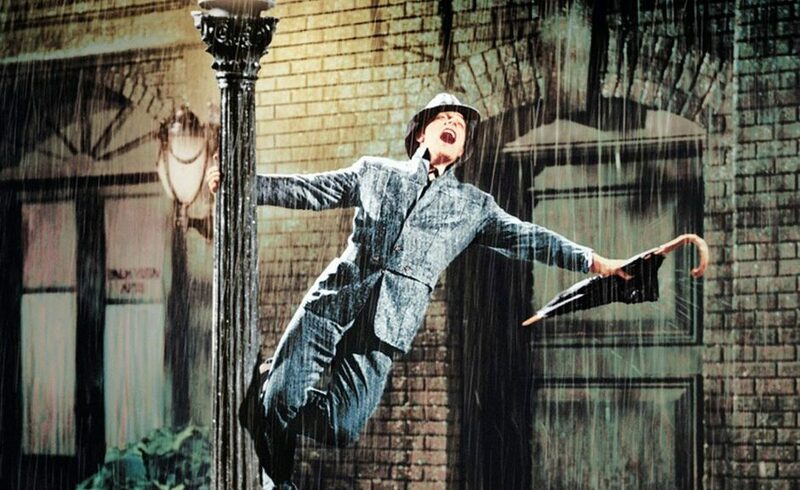 As such we watched Singin’ In The Rain(1952). It’s probably one of the best known movies about the transition from silent films to talkies. There’s a lot of very technically good dancing though some of the musical numbers feel tacked on. In spite of how we had a lot to mock within, we didn’t hate it. Don’t let that take away from the amusement of a robotic Gene Kelly knocking down walls as he is unable to process human imperfection. Weltall then talks about the film. Dave Made a Maze. In it a guy named Dave makes a cardboard maze in his apartment that he gets lost in. As such a camera crew and friends go in to rescue him from the maze. It’s reminiscent of Labyrinth in the layout and the childlike atmosphere of cardboard monsters and sets. The lower budget definitely shows at times but well worth a single watch through. Tim then talks about Cloak and Dagger(1985). Which he describes as one of two films in which Dabney Coleman doesn’t play the antagonist. He plays both the father and the secret agent imaginary friend to the kid from ET. ET kid stumbles into a world of espionage when he gets handed an Atari cartridge that has secret government plans on it, the titular Cloak and Dagger. So it almost serves as a commercial for a game that never quite got released due to the fact that the video game market crashed before the movie came out.